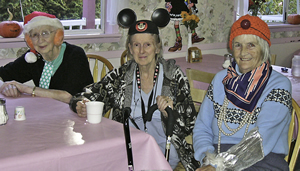 Our local neighbourhood has fantastic seniors compatible walking and shopping tours. Some of the functions include: going to the local Arts Centre & Theatre. trips to the mall and more. 3 of our Rosewood Family at a party!